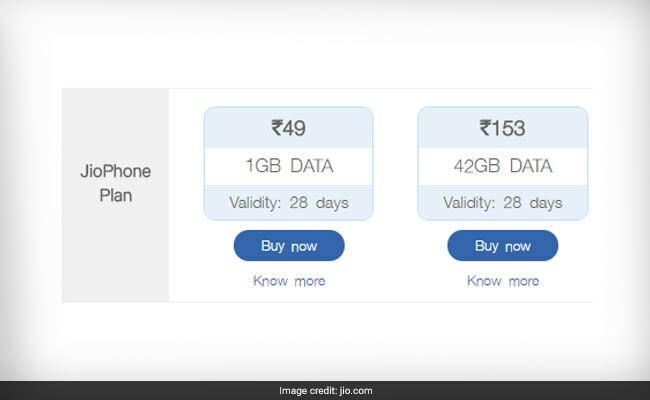 Jio's Rs 49 prepaid recharge plan offers 1GB of high speed 4G data for a period of 28 days. Both the prepaid recharge plans are exclusively available for JioPhone users. Reliance Jio recently launched two new prepaid recharge plans priced at Rs 49 and Rs 153 for JioPhone users. Jio's new Rs 49 prepaid recharge plan offers 1GB of high speed 4G data for a period of 28 days. 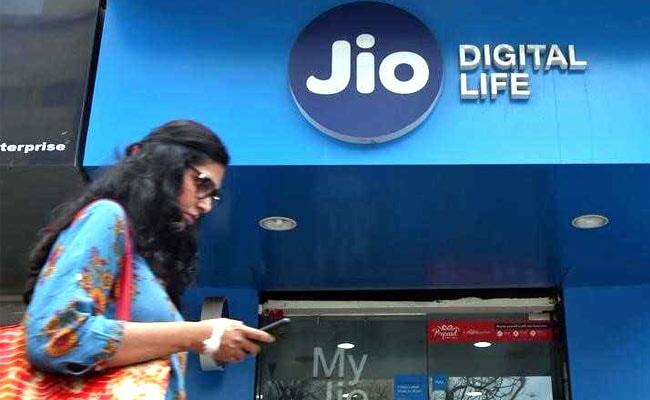 Jio's prepaid plan priced at Rs 153 offers 1.5GB of 4G high speed per day data for 28 days. Both the prepaid recharge plans are exclusively available for JioPhone users and also come with unlimited voice calls and free SMSes benefits. Jio's Rs 49 prepaid recharge plan offers 1GB of 4G data for a period of 28 days for JioPhone users. After the completion of daily data limit, the internet speed is reduced to 64kbps. Jio's Rs 49 prepaid recharge plan also offers unlimited local, STD and roaming voice calls. This prepaid recharge plan offers complimentary subscription to Jio suite of apps including Jio TV, Jio Music, and Jio Money, among others. 50 free SMSes are also available with this plan. The validity of this plan is 28 days. Jio's Rs 153 prepaid recharge plan offers 1.5GB of 4G per day data for a period of 28 days for JioPhone users. The total data available with this prepaid recharge plan is 42GB. After the completion of daily data limit, the internet speed is reduced to 64kbps. Jio's Rs 153 prepaid recharge plan also offers unlimited local, STD and roaming voice calls. This prepaid recharge plan also offers complimentary subscription to Jio suite of apps including Jio TV, Jio Music, and Jio Money among others. 100 SMSes per day benefits are also added with this prepaid recharge plan. The validity of this plan is 28 days. The Union Budget on Thursday proposed an overall allocation of around Rs 14,500 crore for the 2018-19 fiscal to augment telecom infrastructure projects, which include an alternate communication network for defence services, in the country.